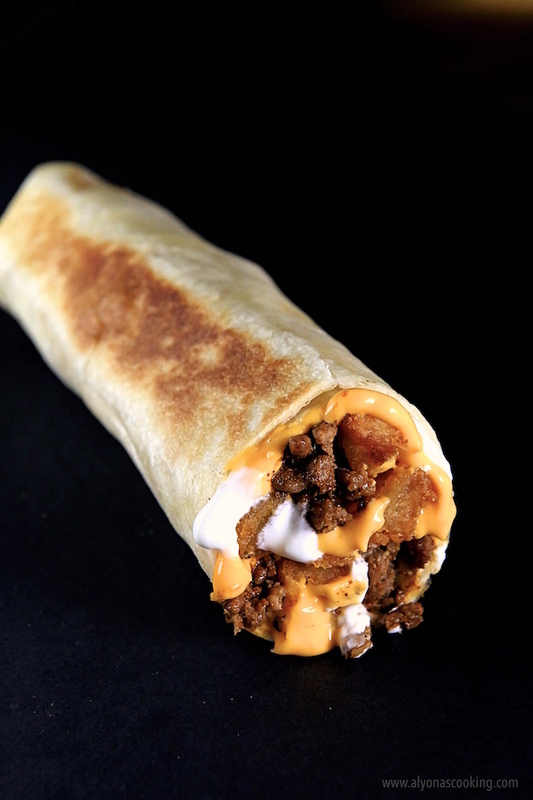 The Taco Bell Cheesy Potato Burrito is filled with seasoned beef, cheese, sour cream and seasoned potato bites. 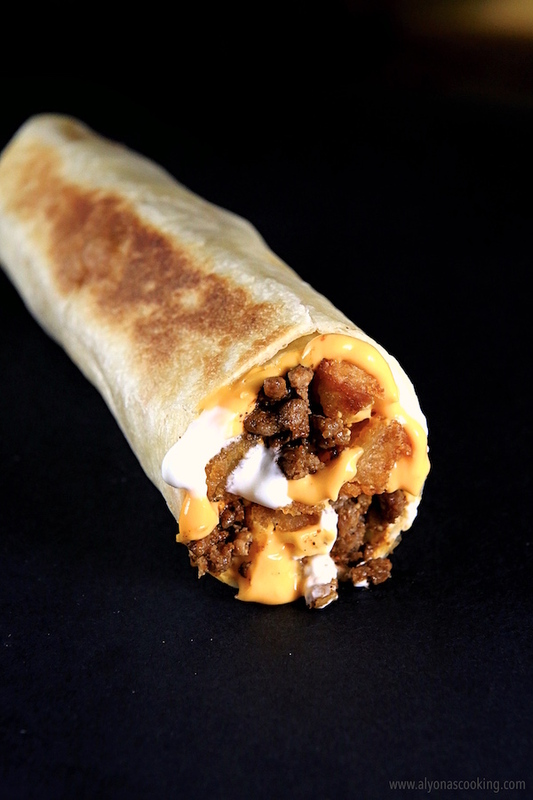 If you want to skip the beef for an even easier wrap just make the Cheesy Potato Griller (it’s portioned to a wrap without the beef.) 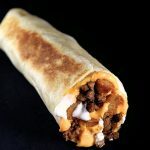 Make the potato bites ahead of time for an easy put together meal like these Taco Bell Cheesy Potato Burritos! Even if you haven’t tried “potatoes” in a wrap, you should give these a try! You might just be fond of these wraps! 2. Fry 1 lb of beef according to taco seasoning packet instructions. 3. Microwave cheese dip for 30-45 seconds and stir to smooth out. 4. Assemble tortillas; dollop 2 teaspoons of cheese and 2 teaspoons of sour cream onto the lower half of each tortilla. Top with 1/4 cup of potato bites and spoon 1/4 cup of ground beef. 5. Roll and microwave for 30 seconds. Serve hot. Fry 1 lb of beef according to taco seasoning packet instructions. Microwave cheese dip for 30-45 seconds and stir to smooth out. Assemble tortillas; dollop 2 teaspoons of cheese and 2 teaspoons of sour cream onto the lower half of each tortilla. Top with 1/4 cup of potato bites and spoon 1/4 cup of ground beef. Roll and microwave for 30 seconds. Serve hot.